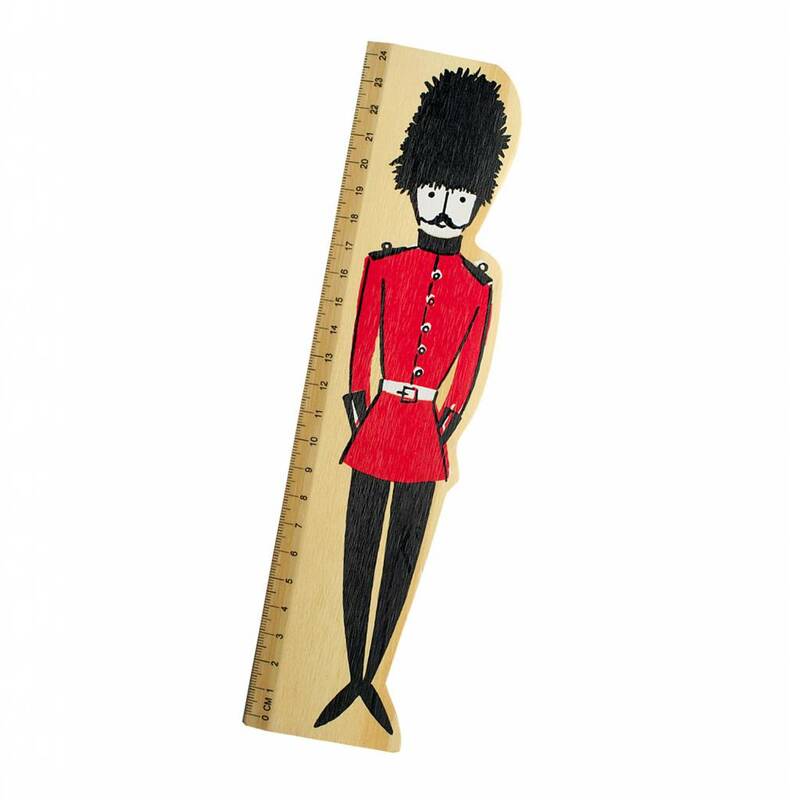 A beautiful, wooden 24 cm ruler with large illustration of a Queen's guard, dressed in red and black. Other side shows inches. 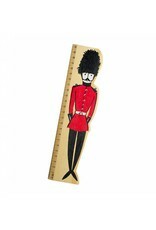 The right hand side is cut to fit the guard's silhouette, making a fun ruler for a child to treasure.